Air Jordan 2K9 (2009)? 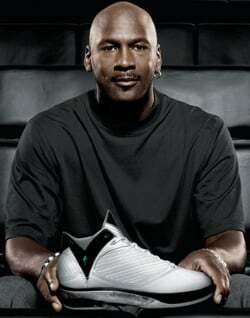 Or Air Jordan XX4? The simple question of “will there be more?” has been brought up in every Air Jordan lover’s mind ever since the Air Jordan XX3 (23) dropped in January of 2008. Jordan Brand did their part to build up the hype by staying quiet and not releasing a word of concrete information. The obvious reasoning that many employed onto the Air Jordan numbered line was that it would stop after their 23rd sneaker due to the fact that Michael Jordan himself wore the number 23 throughout most of his career. From a financial standpoint, stopping the numbered line after the twenty-third model made no sense. Jordan Brand finally came to the executive decision of retiring the “Air Jordan I – XX3” number scheme in order to honor Michael Jordan’s legacy as one of the best basketball players ever. Instead, they decided to employ a new naming scheme which utilized the year number in which the sneaker would be released. Though the naming scheme was changed, the effort and thought that goes behind making an Air Jordan signature sneaker was not. Just like every other sneaker from the Air Jordan line, the Air Jordan 2009 would prove to be a stylish and sophisticated sneaker that reacted well on the courts and looked great off the courts. For the Air Jordan 2009, Micheal Jordan called upon Jason Mayden, Jordan Brand’s Senior Footwear Designer, to work with him in order to create a stylish and eco-friendly basketball sneaker which incorporated the newest technological advancements of the time. Jason Mayden took much time and put much effort into designing the Air Jordan 2009 and decided to integrate Articulated Propulsion Technology, or APT, into the sneaker. Articulate Propulsion Technology is most famous for its appearance on prosthetic legs of several paralympic athletes. April Holmes, a Team Jordan track and field athlete, holds many world records in paralympian competitions and helped inspire Jordan Brand to create their newest signature sneaker. 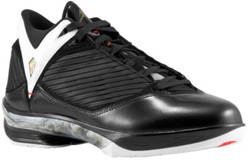 Aside from the Articulated Propulsion Technology which aids athletes in being quick off their feet, other key aspects of the Air Jordan 2009 include the satin sheets on the side panels and rear of the sneaker as well as the blown-glass midsole which is said to be unique to every sneaker. The aforementioned satin sheets are inspired by Michael Jordan’s belief that man on man defense in basketball is very similar to the art of defending oneself in the sport of fencing. The sheets are meant to remind athletes of the importance of defense in light of the satire attire worn by fencers. A diamond shaped hologram is included under the ankle support and premium leathers are utilized on this sneaker so that it is not only functional on the courts, but also look good off the courts. Inside the sneaker, Jordan Brand has added extra cushioning to keep athletes’ ankles safe and comfortable. In order to fully understand the amount of effort put into designing this sneaker, one must take a closer look and analyze each part of the sneaker. For example, the outsole includes multi-directional patterns which help to increase grip, and the stitching on the upper is purposely sewn in two rows and three rows below it in order to represent Michael Jordan’s famous number 23. Overall, the Air Jordan 2009 proves to be a stylish, complex, and clean sneaker which utilizes the newest sneaker technology available. Jordan Brand may have retired their famous numbered naming scheme, but the thought and effort put into designing a sneaker will live on via the Air Jordan 2009. The Air Jordan 2009 is set to release on January 31, 2009 which will be limited to only 2009 pairs, 1005 going to the U.S and 1004 going overseas. After the original limited release, the Air Jordan 2009 will have its first nation-wide release on February 14, 2009 when it will be sold for $190.